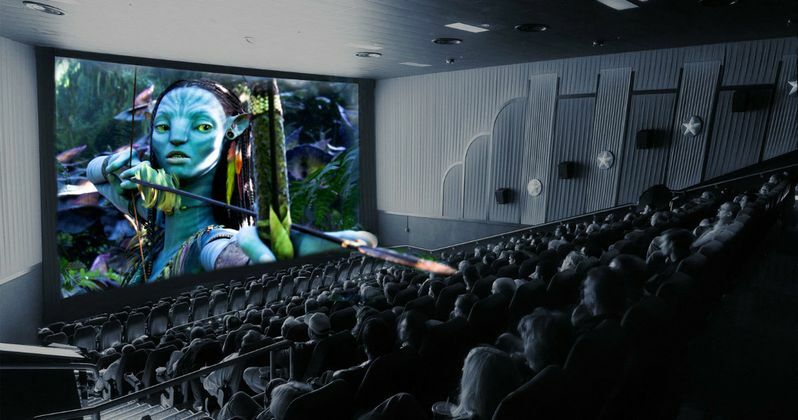 Avatar 2 to Arrive in Theaters with Glasses-Free 3D? Director James Cameron has spoke before about creating the technology that would enable glasses-free 3D projections for Avatar 2, which is getting closer and closer to happening. James Cameron's Lightstorm Entertainment, Inc. has renewed an exclusive, five-year agreement with Christie Digital Systems, that sees these two industry leaders sharing know-how and ground-breaking technology to propel the future of immersive cinema experiences. Here's what director James Cameron had to say in a statement. "To push the boundary of digital cinema, one needs visionary, like-minded collaborators and that description fits Christie to a tee, given its long cinema heritage and impressive list of industry 'firsts' in the projection and visual display realms. Several years ago we began our relationship, which has worked well, so I'm pleased to be forging ahead again with Christie at my side." Christie Digital Systems will equip Lightstorm with a variety of current and planned projection systems including the first of a new RGB laser projection series now under development, one that boasts much higher efficiencies than lasers utilized in current cinemas. The units will be spread across James Cameron's production facilities and come with 24/7 access to the Christie Network Operations Center (NOC), call center support, and replacement parts as per Christie's warranty services to all exhibitors. Here's what Jack Kline, Chairman, President and CEO of all of Christie's operating companies, worldwide, had to say in his statement. "Like attracts like and in addition to the latest in projection technologies, Christie is fully committed to sharing our ongoing research and development efforts, including product roadmaps, with our co-visionary, Lightstorm, so that its productions will repeat the awe-inspiring success of Avatar in the years to come. Lightstorm, and indeed our global exhibitor community, are confident in Christie's ability to deliver a complete cinema experience, encompassing all formats, frame rates and light levels, and this agreement is indicative of this confidence." These RGB laser projectors will be able to provide bright, high-quality images at a higher frame rate, creating a 3D projection without the need for glasses to discern depth. In exchange for knowledge sharing, equipment and services, Lightstorm will share with Christie its own findings into 3D, HFR and high-dynamic range (HDR) enhancements, as well as formatting and color space requirements, for achieving the optimal viewing experience. This knowledge in turn will aid Christie in creating market-leading projectors, media servers and tool kits for a variety of applications including cinema exhibition, location-based entertainment and post-production markets. Here's what Jon Landau, Academy Award-winning producer of Avatar and Titanic, had to say in his statement. "Just as we push innovation with our productions, Christie is continually pushing innovation with their projection technology. Its advances in HDR development, epitomized by the co-development of the Dolby Vision projection solution with Dolby, means better in-theater experiences for audiences, which for exhibitors in turn means greater audience satisfaction and more repeat patrons." This new deal with Christie comes as producer Jon Landau confirmed at CineEurope that Avatar 2 starts production on September 15, 2016. Lightstorm and 20th Century Fox have also finalized their schedule for the Avatar sequels, with Avatar 2 arriving December 18, 2020, followed by Avatar 3 on December 17, 2021, Avatar 4 on December 20, 2024 and Avatar 5 on December 19, 2025. Avatar stars Sam Worthington (Jake Sully), Zoe Saldana (Neytiri), Stephen Lang (Colonel Miles Quatrich), Sigourney Weaver (Dr. Grace Augustine) and Joel David Moore (Norm Spellman) have signed on to reprise their roles, alongside new cast members Cliff Curtis (Tonowari) and Oona Chaplin (Varang). Hopefully we'll have more details about the glasses-free 3D for Avatar 2 very soon, with production starting in the next few months.